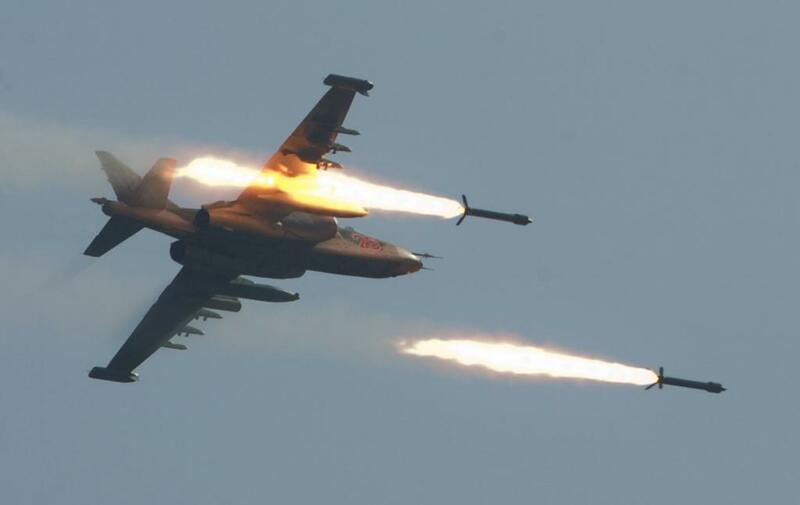 The Ministry of Defense of the Russian Federation reported: "On February 3, overflying the Idlib de-escalation zone, which was being carried out to monitor the ceasefire, the Russian Su-25 aircraft, led by Major Roman Filipov, was shot down by terrorists from a portable anti-aircraft missile system. The pilot tried to keep the plane in the air until the last and managed to report to the command that he was attacked by a missile. " The Aviationist website translated from an Arabic language video where "a journalist who introduced himself as Moazom Al-Chamie says that the plane was hit by a rocket by people from a car that appeared from nowhere." They were not bandits who control the territory around the city of Mazaran. The journalist reports that after the incident, "unknown" attackers wanted to shoot down another Russian Su-25. Eyewitnesses noted the unusual absence of flares from infrared traps ejected from the Su-25. It is common knowledge that this means of protection "is a countermeasure against defeat from a portable anti-aircraft missile system," notes The Aviationist. Vladimir Shcherbakov, military expert of the Independent Military Review magazine, said that "if not all the means of defense of the aircraft could work - heat traps, laser systems for irradiation of the homing head, maneuvering - then, perhaps, it was the newest portable antiaircraft missile system ... The further, the smarter the missiles become and the harder it is to run away from them. " As reported by the Balkan Network of Journalistic Investigations "(BIRN) and the" Project for the Investigation of Corruption and Organized Crime "(OCCRP), since the escalation of the Syrian conflict in 2012 to July 2016, eight European countries have organized arms exports worth 1.2 billion euros to Saudi Arabia, Jordan, the United Arab Emirates and Turkey. According to journalists, weapons, including portable anti-aircraft missile systems, were purchased for further transfer to mercenary terrorists in Syria and Yemen. The American CIA was responsible for supply logistics.